Stylish star Allu Arjun has named his son as ‘Ayaan’, which in Sanskrit means ‘soaked in the divine’. His son was born on April 4 and a lot of people believe that Ayaan has brought his father great luck. 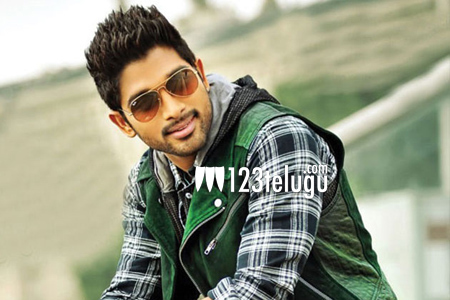 So far, Allu Arjun has not revealed the pictures of his son, despite great curiosity among his fans. A week after Ayaan was born, Allu Arjun’s Race Gurram released and it’s doing extremely well in the theatres across the world. In US alone, the film has reportedly collected more than $618,000 in the first three days and it’s likely to set a new record in Allu Arjun’s career. Directed by Surender Reddy, the film also had Shruti Haasan in the lead role, apart from Saloni, Shaam, Brahmanandam and Ravi Kishan who played important roles. Nallamalapu Bujji and Dr Venkateswara Rao had produced the film and Thaman scored the music. Manoj Paramahamsa is the cinematographer of the film.